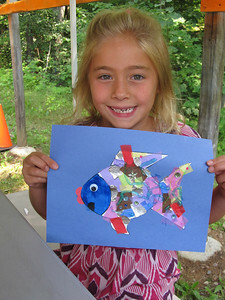 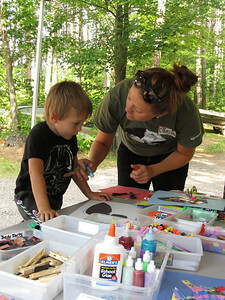 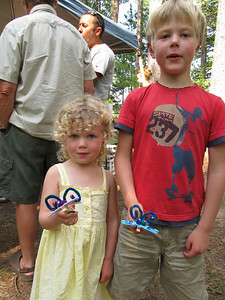 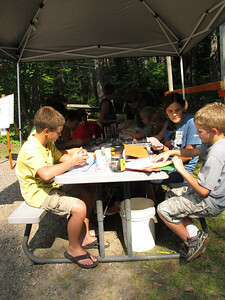 It is craft time for our youngest visitors! 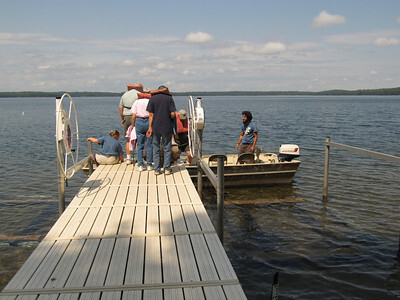 Lindsay Bruckerhoff explains how invasive aquatic plants are transported by boaters from lake to lake. 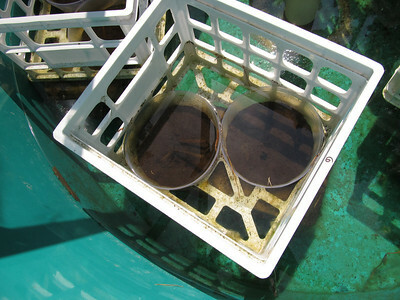 An experiment set up using mesocosms looks at how aquatic plants survive being air dried, then re-submerged into water. 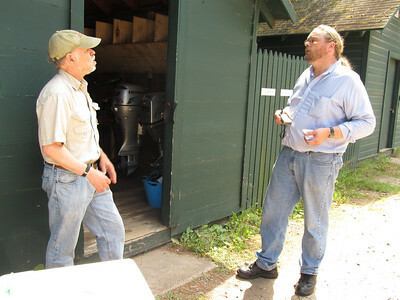 Center for Limnology Director Steve Carpenter talks to local media reporter about Trout Lake and related research. 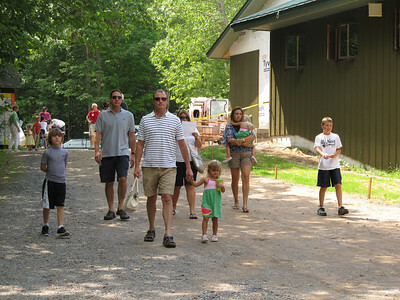 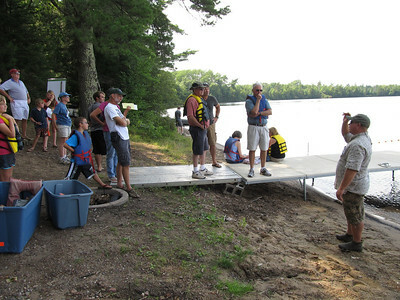 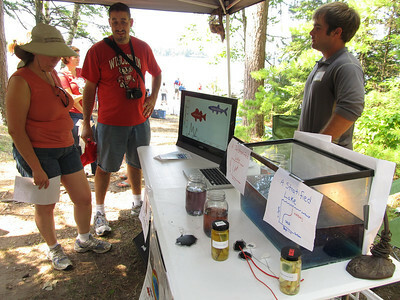 The Crystal Lake Mixing Project held demonstrations so people could visualize how a lake is mixed. 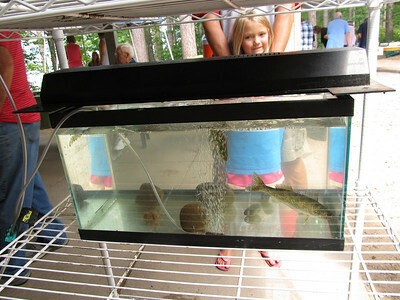 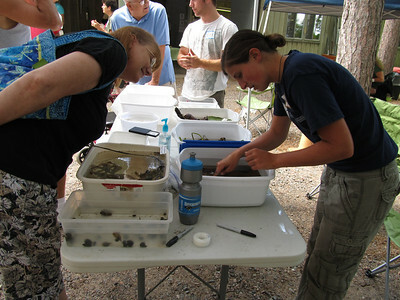 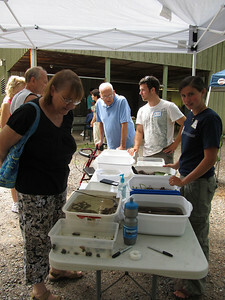 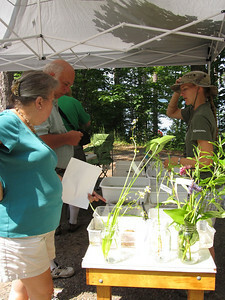 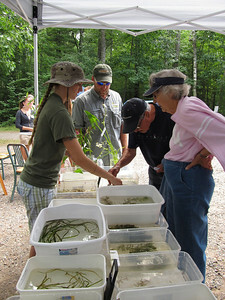 Samples of invasive Smelt were also on display. 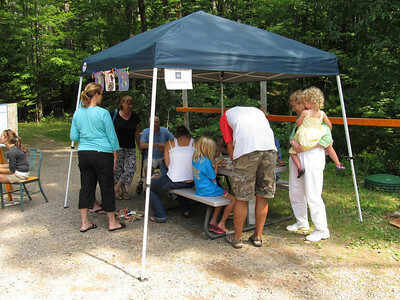 Some beautiful crafts and their proud creators. 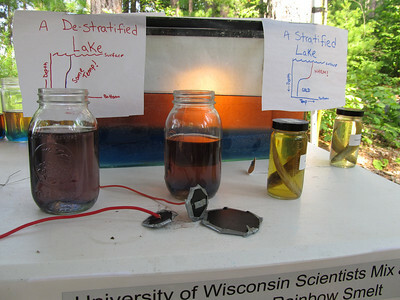 Jars of warm and cool water have food coloring to symbolize the difference in temperature at different depths of the lake. 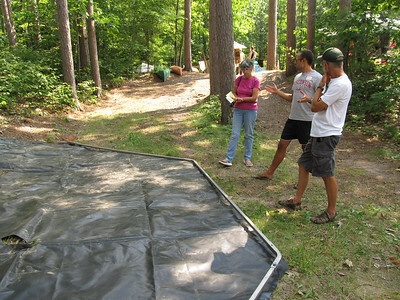 Using miniature GELI's, guests could mix their own lake! 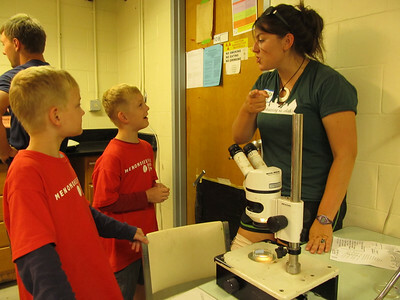 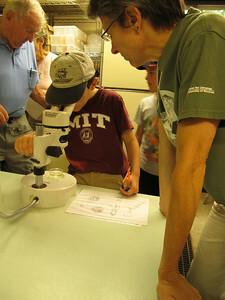 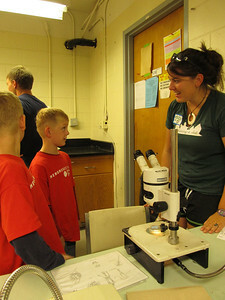 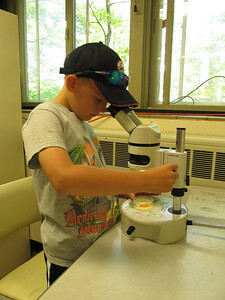 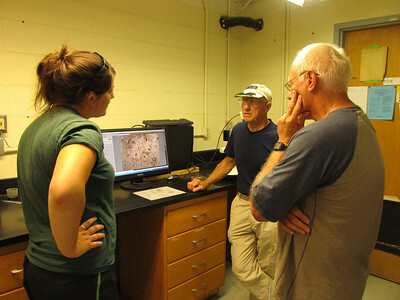 Grace Wilkinson from the University of Virginia shares the excitement of zooplankton with two budding scientists. 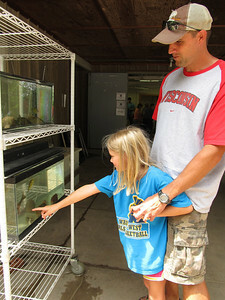 DNR representative Greg Sass talks about fish communities and fishing in the local area and how conservation is a key effort. 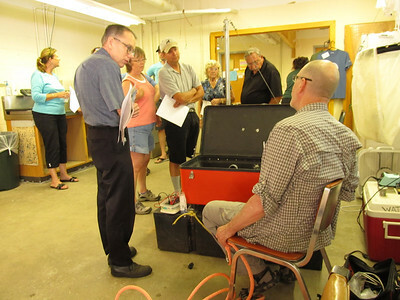 Research technician Colin Smith talks about the design and functionality of a GELI (Gradual Entrainment Lake Inverter). 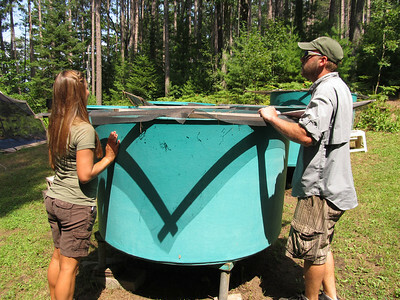 The Crystal Lake Mixing Project uses 6 GELI's to mix Crystal Lake.